The Corinthian Classic Yacht Regatta will be the kick-off event of the North American Panerai Classic Yachts Challenge this August 8th & 9th. There is no organization or entity that has done more for the development and promotion of Vintage Yacht Racing than Officine Panerai. For more than 11 years, they have presented regattas in the UK, all over the Mediterranean, Argentina, Spain, and Antigua. They have been involved in North America Regattas at Marblehead, Nantucket and Newport for the past six seasons. The roster of worthy competitors in each regatta has increased each year since the PCYC’s inception in 2005. Every season yachting enthusiasts from around the globe attend the PCYC regattas to compete, reconnect with each other, and marvel at the world’s most beautiful sailing craft. Their commitment, efforts and organization are unparalleled and unwavering. The Corinthian Classic is extremely grateful for their support. 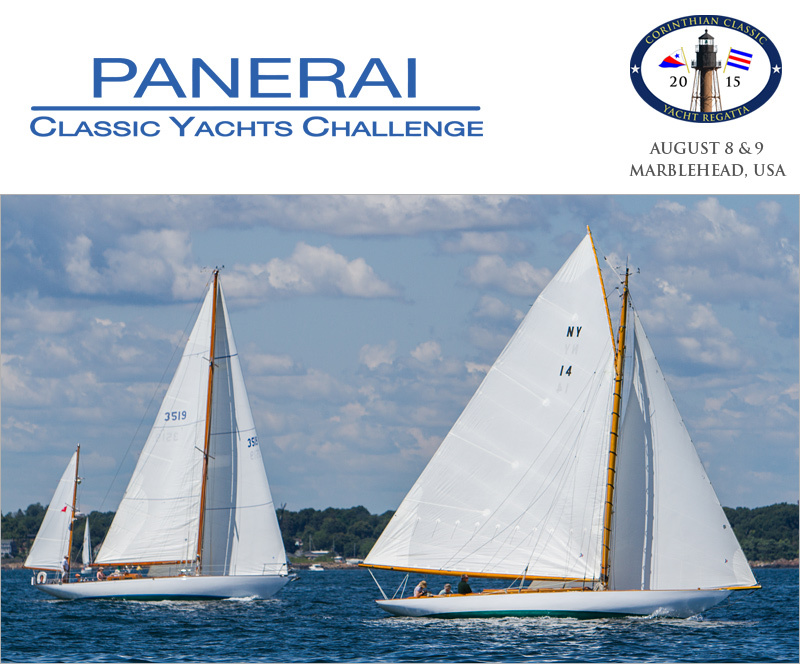 We encourage you to view the tremendous program that comprises the PCYC by visiting their website at http://www.paneraiclassicyachtschallenge.com and urge you to celebrate with them by participating in the Corinthian Classic Yacht Regatta presented by Officine Panerai.